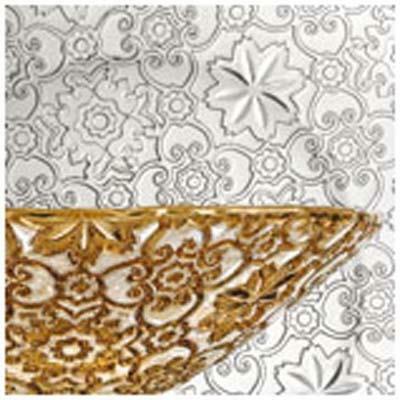 Arabesque Bowl by IVV. Soft arabesque motifs hearken back to a fairy-tale atmosphere. The table suggests a journey in the Moorish style, amongst the splendour of gold-leaf.Dishawasher safe. Handmade in Italy.